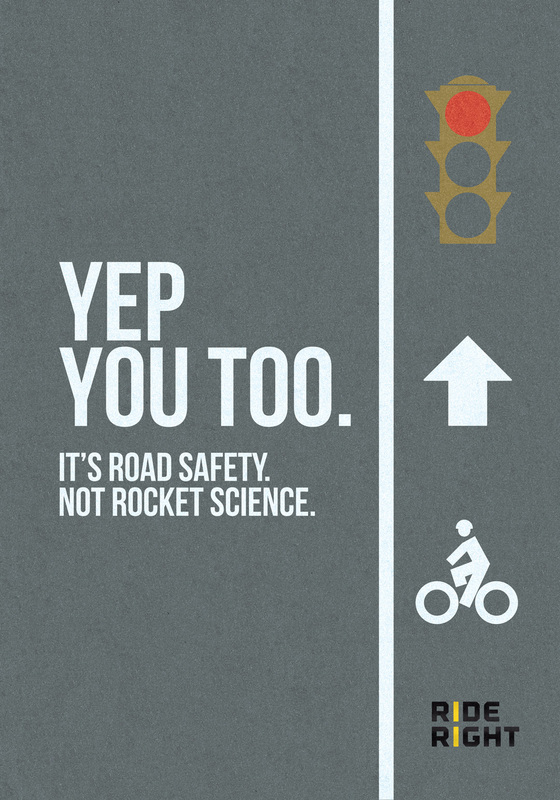 The City of Philadelphia is rolling out a new public safety campaign titled, "It's Road Safety Not Rocket Science." Included here are three of 19 different ads that will begin appearing on SEPTA buses, subways and bus shelters. The Mayor's Office of Transportation and Utilities (MOTU) worked with Philly-based LevLane Advertising to develop the Ride-Right Walk-Right Drive-Right messages. The goal of the campaign is to remind all users that pedestrians, bicyclists, transit riders, and drivers share the road and that we need to keep the streets and sidewalks safe for each other. The $125,000 campaign is funded by the Pennsylvania Department of Transportation and will run through the spring. Advertisements will appear on at least 65 buses, 50 bus shelters across the city, and dozens of Broad Street Line and Market Frankford Line subways. If you want to see more of the ads, visit MOTU's blog where they are posting them daily. The ads target different groups of street users, but these here are aimed at bicyclists. The Bicycle Coalition and AAA were consulted during the campaign's development.